Limit 1 per person. Valid on a family portrait package. Available in studio or on location. Will travel up to 25 miles; an additional 70 cents per mile will be charged after 10 miles. Package includes 1, 8x10 photo. Additional photos will be available for purchase. Getting your entire family to sit in the same room and smile is rare, so it’s probably best to make sure you get some proof. Let a professional photographer give you all of the evidence you need with 50% off a family portrait package ($149 value) from Suburban Studio, available on-site or within 25 miles of Sun Prairie, Wis. With this package, you can include as many family members as you want for a truly special photo. Suburban Studio has been in business for more than four decades thanks to their commitment to quality and customer service. 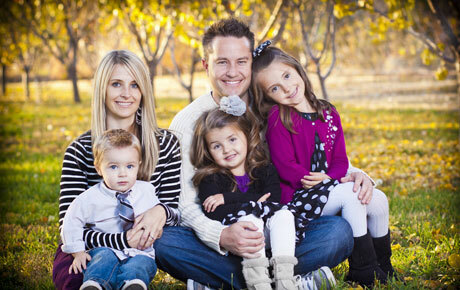 They strive to help each of their clients capture memories in a beautiful and lasting way. They offer a variety of photography packages, including pet portraits and special event photography. Grab this deal and sit your family down for a fun photo shoot.